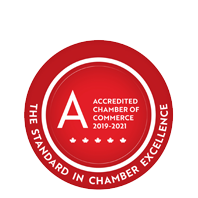 Geerlinks Home Hardware - Commercial Maintenance | Cleaning Products & Supplies - Business Directory - St. Thomas & District Chamber of Commerce - ON, ON ? Geerlinks Commercial Maintenance Supply division offers more than just products for your business. They provide comprehensive business solutions personalized to your needs and are backed by state-of-the-art distribution centre with over 60,000 items and thousands more available on a special order basis. EarthCare signifies their commitment to help conserve and protect the environment. The EarthCare logo clearly identifies products that are energy efficient, biodegradable, recyclable, reusable, non- toxic, organic, manufactured from recycled material or help to conserve water. Home Hardware has a national accounts program serving customers from coast to coast.